Unless you are an only child you are familiar with the love that siblings bear one another. The events of life, along with the meddling of others caused a rift between these two men and ultimately cost both of them their lives. The Seymour brothers, Edward and Thomas. There are instances when situations fester and cause strife between siblings that tear them apart. You know, like when one sibling critiques the parenting of another – that’s going to cause a few arguments and then probably some avoidance. These statements ring true for the Seymour brothers – Edward and Thomas. Even though Edward was only three years older than Thomas he behaved as the eldest son and the one who would gain the most in life. While Thomas was the fourth son and the youngest at that – his future was not as bright as his older brother, but Thomas wasn’t like most youngest sons. He was ambitious, and while he knew he would never outrank his brother Edward, he wanted to get as close to the sun as possible. 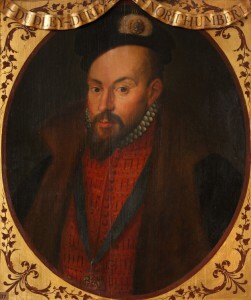 Of the three remaining sons of Sir John Seymour of Wiltshire, Edward was the oldest, followed by Henry and then Thomas. Edward Seymour eventually became Lord Protector and Duke of Somerset. Henry hung around court for a bit and then went on to be country gentry – a subtler life…While the youngest Thomas followed in his eldest brother’s footsteps. He grew confidence when he recognized his own way with people. Most people liked Thomas, more so than his brother, Edward. I have a feeling that Edward and Thomas had an even closer relationship when their brother Henry was around. Those two could only get along for short while before things got heated. Henry was able to play peacemaker. But with him away from court there were outside influences on their relationship that neither brother could see coming. While it appears that the brothers had a normal relationship, there are clues of jealousy and greed intertwined with manipulation and revenge. The breakdown of their relationship began with John Dudley, newly titled Earl of Warwick, and his desire to see another in the position of ‘Lord Protector’, namely himself. So what did the Earl of Warwick have to do with it? Warwick played a game of chess with the brothers. Speaking to Edward about what a great Lord Protector he was and then going to Thomas and telling him how he should have been named Governor of the king. Warwick wedged himself in between the two brothers; Putting himself in a very dangerous situation as well. Lucky him, it all worked out, for a little while at least. With Warwick whispering in his ear, the natural desire he already had to become more only intensified. Thomas Seymour felt he deserved a lot more as an uncle to the king and no matter what he did to obtain that goal he was thwarted, either by others or himself. During all these arguments with his brother, Thomas was continuously trying to get a bill passed through Parliament that would make him Governor to the King. A position he believed, and had convinced many others, he deserved. Unfortunately for Thomas, those who said they would back him did not follow through when the time came. Was Dudley’s interactions with the brothers what caused Thomas Seymour to seek a strong marriage? Seymour had only talked marriage a few times in his entire life and they were all later in life. 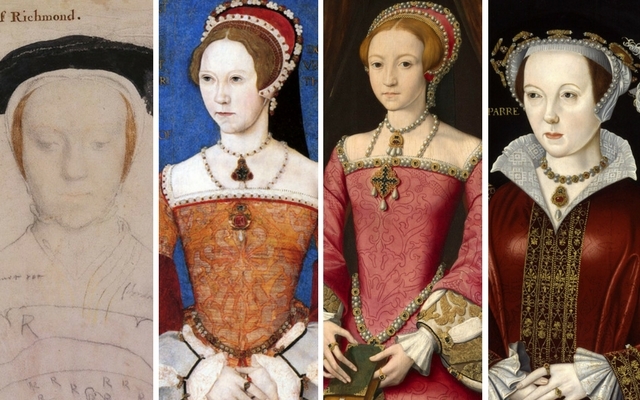 There was Mary Howard, Elizabeth Tudor and Kateryn Parr. I also believe he proposed once to Mary Tudor as well. If we look at all those women, what do we see? I see power. I see support in case one should need it. A duchess and a Howard at that, a princess with Protestant supporters, a dowager queen with history and power, and another princess – a very Catholic princess. All great matches for a man like Thomas. The only way Thomas could marry any of those women was without permission because he knew they all needed permission to wed…and then hope you can find a way to convince the Lord Protector that it was all his idea. When Thomas suggested to his brother that he marry Kateryn Parr, Edward quickly turned him down – it wouldn’t happen. Luckily for Thomas, he was already married to Kateryn Parr and wished to stay that way. Without gaining approval from the Lord Protector, Kateryn and Thomas decided to use their close connection with Edward VI, they believed they could convince the young king to suggest Kateryn as a perfect bride for his uncle Thomas. They had played their cards right, Edward VI eventually named Kateryn after a bit of coaxing from his servant John Fowler who was doing the dirty work for Thomas. 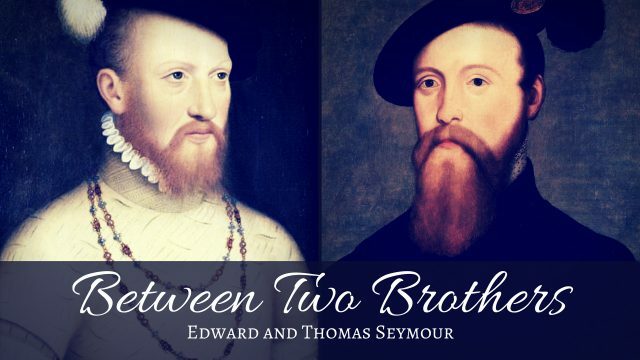 When Edward Seymour discovered the two had married he was furious that his own brother had went behind his back to get permission from the young king. Edward’s wife Anne Seymour was equally displeased with the union. Not only did Thomas and Kateryn marry too soon after Henry VIII’s death, but Kateryn was marrying well beneath her station since Thomas was merely a baron. 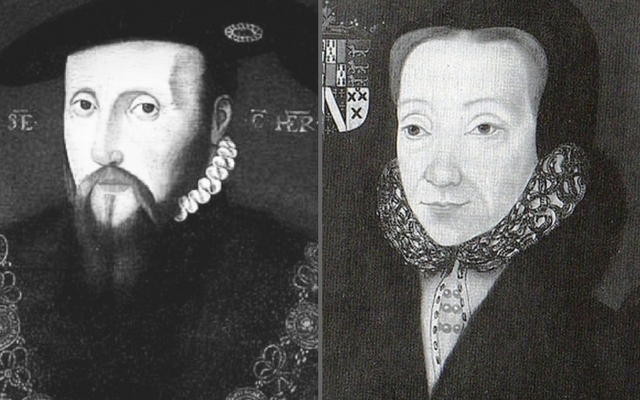 Author Margaret Scard of Edward Seymour, Lord Protector suggests that the beef was actually between Anne Seymour and Thomas, not the brothers or the wives. Kateryn Parr still played the role as queen – with a household the same size as when she was married to Henry. Thomas Seymour, being the husband of Kateryn would have loved the feeling he got when he was the most powerful man in the room. Anne Seymour – let’s just call her duchess going forward, since she was the Duchess of Somerset. The Duchess did not like sharing center stage with Kateryn Parr apparently. Once while walking in a procession, the Duchess is said to have nudged or pushed Parr out-of-the-way so she could take precedence over her. She believed she had that right as the wife of the Lord Protector and because Kateryn was only married to a baron. 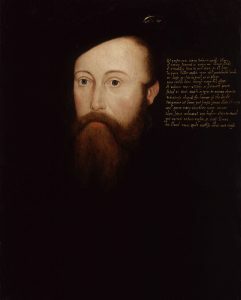 Author Scard believes that the Duchess was adamantly against the idea of Thomas Seymour taking precedence over her and that’s where the dispute began. That Thomas, as the husband of the dowager queen would be able to walk alongside his wife. It wasn’t only what order to walk in a procession. The Duchess took it even further and wouldn’t allow Kateryn her jewels from the Tower of London. Both of the women believed the jewels were theirs – Kateryn only seemed to care about the gifts that were given to her by Henry VIII and a couple of pieces from her mother, I believe it was. The Duchess would not allow Kateryn to have her jewels. Eventually the two brothers were involved in the dispute between their wives. Thomas approached Edward on the issue and they both agreed that Kateryn should have the jewels. Edward told his brother that he would speak with his wife on the subject and go from there. Well, we’re not sure what happened after that but Kateryn never got her jewels. 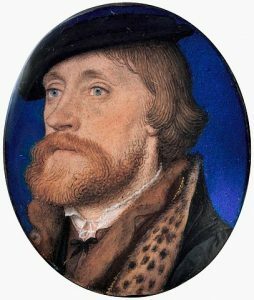 Thomas Wriothesley, in accordance with Henry VIII’s wishes was created Earl of Southampton in February 1547 and was also a member of the Regency Council. Southampton was one of the few men who ‘had always been engaged in an opposite party to Somerset’.¹ This marked Southampton as the enemy since he did not support Somerset ruling with the power of a monarch over the council. A month after being created Earl of Southampton, Thomas Wriothesley was suddenly dismissed from the title of Lord Chancellor (which he held since 1544) and he also lost his seat on the Privy Council. This was obviously to serve as a lesson to those who would disagree with Somerset. After Kateryn Parr died I feel like Thomas became a little unhinged. He allegedly proposed to Elizabeth Tudor and then is suspected of trying to kidnap his nephew, the king. Eventually things got so bad that Thomas was thrown in the Tower. I’m certain that Edward felt horrible knowing his brother was in the Tower but I also feel like he knew what had to be done. The Seymour brothers, had they joined forces, could have become even more powerful alongside each other as uncles to the King of England. Unfortunately for Thomas, his brother Edward felt that the power should all be his for the keeping. From early on the Seymour brothers were gifted with titles. Edward was given the title Viscount Beauchamp after his sister married the King in 1536. The following summer he became Earl of Hertford. At the same time his younger brother Thomas became Gentleman of the Privy Chamber. A year later he was granted the castle and manor of Holt in Cheshire and knighted prior to the christening of his nephew, Prince Edward, into the Knight of the Bath.¹ From that point, until the death of King Henry, Thomas was continually given lands, but no greater titles – those were saved for his elder brother, Edward. As we’ve discovered through this podcast it was never enough. If Edward and Thomas had only found a way to settle their differences maybe neither of them would have eventually been executed. But, we’ll never know. The letters between Thomas and Katherine Parr printed in J. Mueller, ed. ‘Katherine Parr Complete Works and Correspondence’ Chicago, 2011, pp. 128-178 give some revealing insights into the relationships between the brothers and their wives.